We are greatly enjoying our winter break and with the New Year soon to be here, I would like to wish you all a Safe, Healthy and Happy New Year! 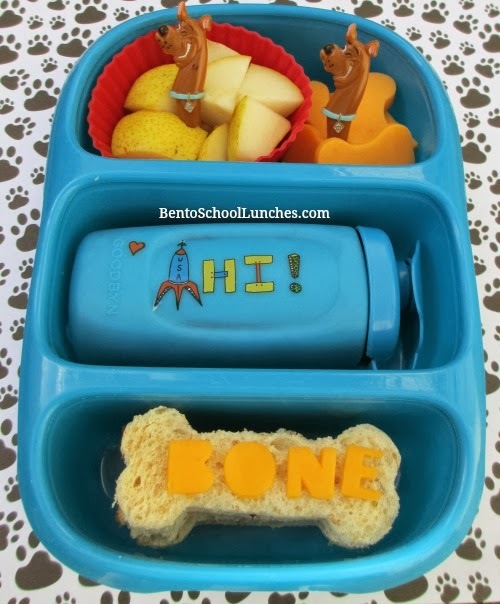 Pear pieces in a silicone cup and bone shaped cheese with Scooby Doo cupcake picks. V8V Fusion veggie and fruit juice in the drink bottle. Bone shaped sandwiches (stacked) with cheese lettering. This snack is packed in his Goodbyn Bynto box. Grapes, edamame, crinkle cut carrots, cheddar crackers and yogurt covered raisins. 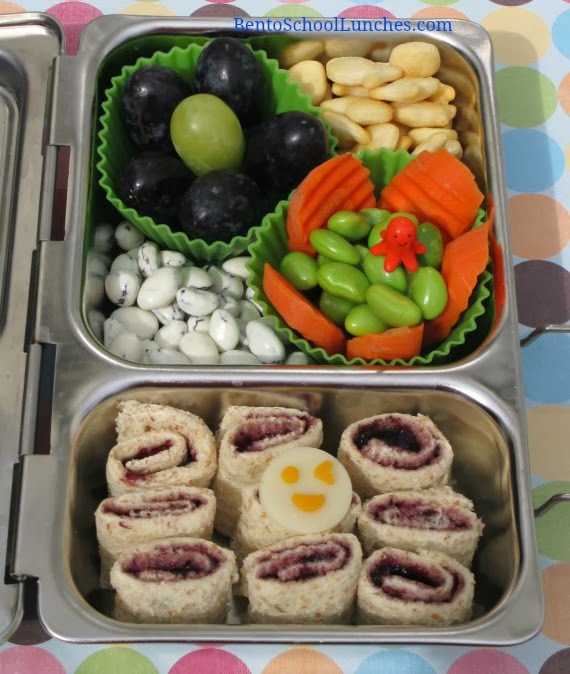 Organic blueberry jam roll- ups to which I had to add a smiley face (cheese cut out). :) This lunch is packed in his Planetbox Shuttle. Cool with Scooby! My seven year old loves Scooby Doo!